SimplyBook.me got a facelift in October! Time to do a Facelift, in October 2017, the SimplyBook.me site had a little bit of facelifting. The autumn is here and to celebrate it SimplyBook.me just kicked off with some new features, and performance improvements as well as a new look for the external website! 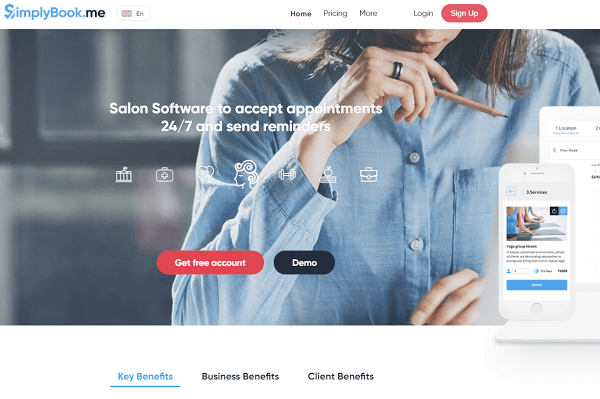 One page was added to explain SimplyBook.me enthusiasm for security and the other one to show off a booking site themes which users can choose from to use as their own company web page and booking site. Apart from that the other pages got a proper facelift to be more informative and to reflect our new branding… we hope you will like it! Classes and Membership features are in fact not a new feature as this has been possible in the SimplyBook.me system for a while. However, there was never a special module for the classes so setting classes up, had to be done indirectly by taking some complex steps. Phew … thankfully that time is over and users can now easily use the new classes function to create both classes and events with ease. Classes times and schedules is also very easy to set up, and can be done on a weekly basis, on a special day bases, or even as a multiple special day bases. In short, it is easy to set up but still stays very flexible. You can play the video below to see how easy it is to use and setup. Remember that this is just a simple overview of the functionality and many of the features are not diplayed in the video. 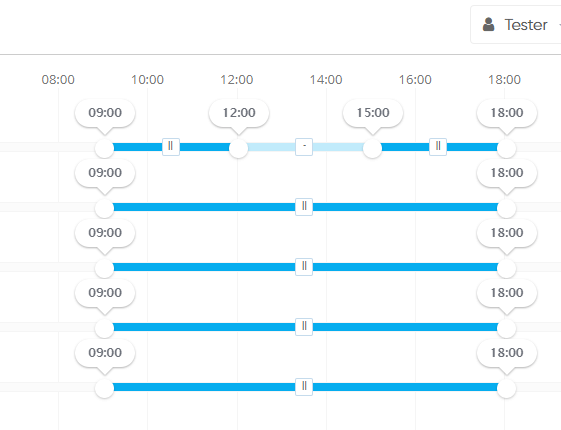 Whether you are setting up a new recurring class, a temporary class that takes place a few times over a limited period or an event, the new scheduling settings will enable you to set this up in a breeze. 1. A class takes place, every day the company is open at the same times of day. 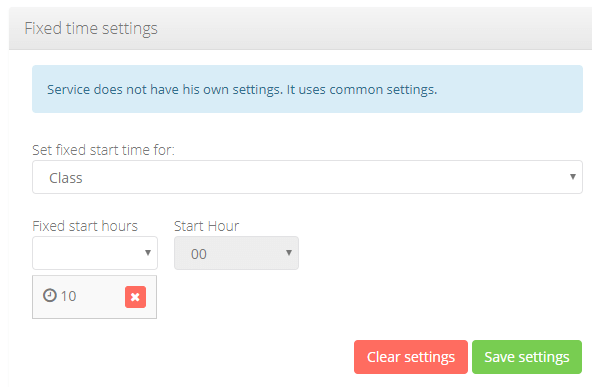 In this case the easiest way is to select the Fixed times feature from the Classes settings. 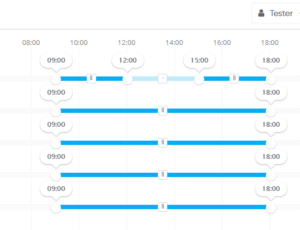 Once inside the Fixed times feature, you can select the hours (and minutes) of the class. If class takes place at 10.00 and 14.30 every day, you select the fixed hours as 10 and minutes as 00, and then as 14, and minutes as 30. You class is now set to take place every day the company is open at these times. If some days, company is set closed in mornings, then only the afternoon session will be available. Classes can be set to have fixed start times, every day the company is open. 2. A class takes place at different times on different days and company is open for other classes on other days. The slider view works for up to 2 classes per day. The complex view, which in fact is not so complex, allows you to easily set many openings per day for the class and you see a view of the whole week. Simply click to close and activate open and close times. Open times are of course when the class takes place. In this view, you see the whole week and can easily set many start times for the class on each day. There are now even more Payment Processors to our system but in this system update SimplyBook.me added PayFort, Mollie and CCAvenue. Today you can choose between 23 different Payment Providers if you want to accept payments upon booking. That´s all for now… if you have any questions or comments about the new improvements please contact SimplyBook.me Live Chat.